I won’t buy unless I have a potential buyer in mind. Some companies like to own their business in every extension. If the operate on a dictionary word domain then it is fair game to purchase. 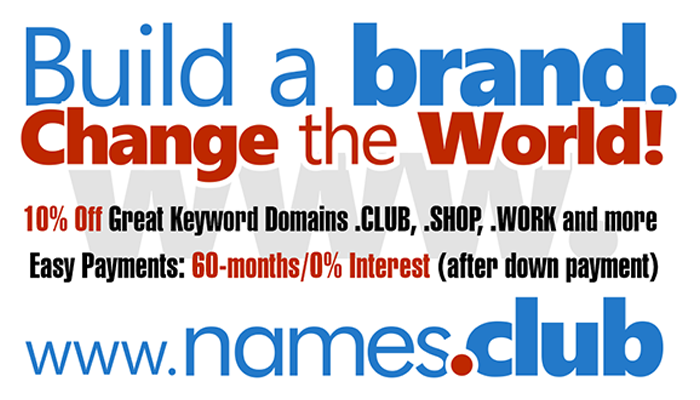 I wouldn’t buy this for every gTLD out there, but for the ones where the domain extension makes sense with the keyword. OK, I've been reading about domaineers and thinking about doing it. Domaineers, are those who engage in domaineering which, according to the Prof. William Lorenz definition, is the web-based marketing business of acquiring generic Internet domain names for the purpose of monetizing them through their use primarily as an advertising medium. In essence, the domain names function as virtual Internet billboards with generic domains being highly valued for their revenue generating potential derived by attracting natural Internet traffic hits from organic search engine results. As with traditional advertising, domaineering is part art and part science. Often to be the most effective as advertising tools, keyword rich domain names and their corresponding landing pages must be engineered or optimized to produce maximum revenue which require a domaineer to have considerable knowledge of search engine optimization ( SEO ) practices, marketing psychology and an understanding of the target market audience. Domaineers generally utilize a firm offering domain parking services to provide the sponsored "feed" of a word or phrase searched for thus creating a mini-directory populated largely by advertisers paying by PPC to promote their products and services under relevant generic keyword or keyterm domains. Occasionally content is added to develop a functional mini-website. Is it really that easy? Can I make money domaineering? Domaineering has been real good to me. Made pay-per-click ( PPC ) money while I slept. You will have to try different domain parking companies as you will likely get different monetization results for different domain names from each of them There is no such thing as a one size fits all parking company. Good luck to you future domaineer!. Funny, you seem to use "Domaineering" instead of "domaining" and "Domaineers" instead of "domainers".